There are many different roof-related questions that we hear from homeowners	on a regular basis. One of the questions we get time and time again is	why it is important to clean and maintain your roof, even when there does	not currently appear to be an issue, such as a leak. We actually have	numerous answers to that question, which we have listed below! Prevention of leaks and roof failure – When moss and debris build up on your roof, this can prevent proper	water flow and diversion when it rains. This in, turn, may result in your	roof becoming decayed or damaged. Buildup can easily result in roof leaks	and other serious issues. Prevention of gutter failure – If debris builds up in your gutters because they are not regularly cleaned	out, this can result in water flowing in the wrong areas, which can damage	your roof and your home’s structure. It can also affect the positioning	of your gutters, which can lead to costly gutter repairs or complete replacement. Prevention of expensive repair bills – By keeping up with the regular maintenance and cleaning of your roof,	you can prevent minor issues from becoming more serious ones that are	much more expensive to repair. Protection of your home’s curb appeal and value – The cleanliness of your roof affects the overall appearance of your	home’s exterior, or your curb appeal. Keeping up with your roof’s	maintenance and cleaning can help you keep up the value of your home! 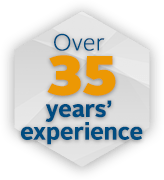 We are the company to hire for your roof maintenance, as we have been providing	excellent service for more than 35 years. In addition to that, we are	bonded, licensed, and insured! We do not provide cleaning and treatment services. If you think your needs a tune-up please call us today at (425) 868-1818 for a free quote on our roof maintenance services!